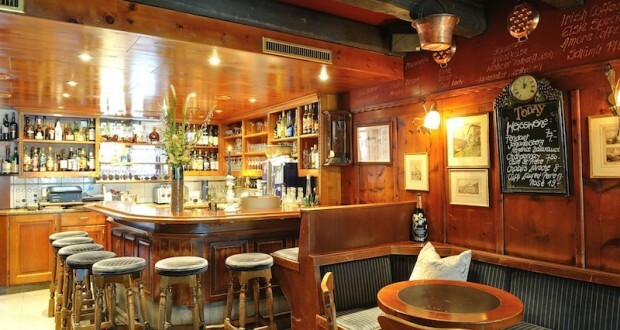 Elsie’s Bar is located in the heart of Zermatt. After a long day of skiing or strolling through Zermatt, enjoy our outstanding wine or whiskey selection. The perfect cocktail or a glass of champagne will add a splash of colour to any evening. In winter we serve fresh oysters, caviar, snails, homemade foie gras of duck, steak tartare and many other culinary delights. Visit in the summertime, and you can experience our traditional Valaisan appetisers and our homemade cake with a digestif beverage! Our typical ‘Valais’ style provides an enchanting backdrop for those special evenings in Zermatt. A visit to Elsie’s Bar is worth your while!